College is a defining moment in a person’s life, and many students feel scared about transferring to a four-year university after graduating from community college. The thoughts of not being able to to fit in or afford a college education cross our minds very often. I was one of those students. After I graduated from Triton College, I was applying to universities, and all I knew is that I wanted to study engineering and technology, and that transfer would be uneasy. But fortunately I made the right choice and came to NIU’s College of Engineering and Engineering Technology. I applied for every single scholarship and internship available. Soon enough, I was awarded the privilege of being a Northern Lights Ambassador for the College of Engineering and Engineering Technology. Being an ambassador, I attend a lot of CEET open houses, where I get to reach out to high school students and talk about the unlimited opportunities an engineer has. I am incredibly grateful for being given the opportunity to interact with these students and let them know that if they want to pursue a higher education, rarely will financial matters hold them back. With scholarships at NIU, we not only get financial help; we get opportunities to get involved in extracurricular activities, make new friends and learn new concepts. I work with the Huskie Service Scholars program in the STEM Outreach office, where I reach out to children to expose them to science, technology, engineering and math at an early age. I also work with the Enhancing Engineering Pathways program, exposing young girls to engineering and technology, assuring them that there is nothing scary to be a woman in engineering. Through all of these programs I get the chance to change the future of engineering by introducing young children to the world of engineering – children who never though that differential equations and strength of materials can be enjoyable. 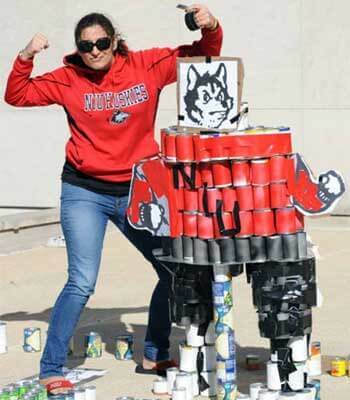 Not only do I get great education from NIU but I am prepared to face the real world of engineering. The College of Engineering and Engineering Technology hosts a job and internship fair, where more than 40 companies come to our school every semester. I feel confident that when I graduate I will have a job at a great company. Besides the great academic programs at NIU, we also have an outstanding athletic department. I spend my free time enjoying football games, and this past year I was one of the many excited students who were able to witness the first-ever appearance of our Huskie football team in the Discover Orange Bowl. NIU made it possible for all students interested to attend the great game in Florida that took place Jan. 1, 2013. About 1,400 students like me traveled on 26 buses to Florida. Some might say it was a long drive, but I say it was very well worth it. This once-in-a-lifetime event made us part of history. 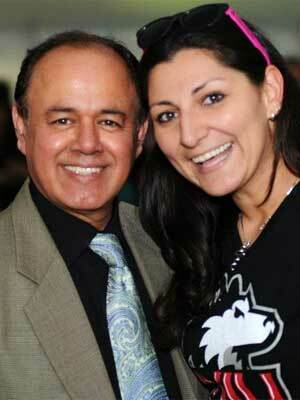 The energy and the Huskie spirit that surrounded me was indescribable. Even at the end of the game, when we did not win, we still left Florida as winners; we left as one big family! 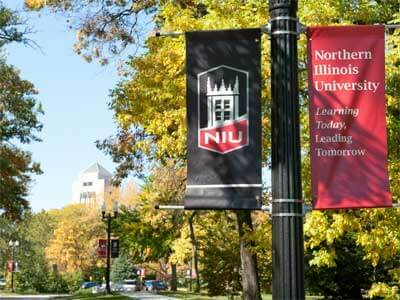 NIU has changed my life for the best. I am proud to be a Huskie engineer! Attendees also will have a chance to visit the Academic & Campus Resource Fair and participate in the Campus Scavenger Hunt Tour. Free Open House parking is available at the Convocation Center in lot C-2. Shuttle buses will transport attendees from the Convocation Center to the Holmes Student Center, where Open House activities will begin. For more information, call (815) 753-0446 or email admissions@niu.edu. To request disability-related accommodations, call (815) 753-1536.